This printer has plenty of great features for you to get your teeth into. 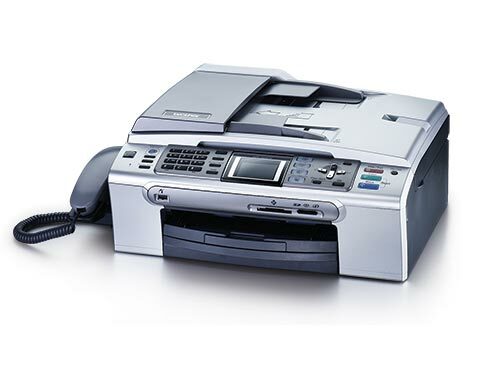 From its intuitive fax system to its fast turnaround on most print jobs, this is a printer that makes your life easier. While the high quality of the Brother MFC-665CW means there’s not much to worry about in terms of pitfalls, there are some small considerations, such as weight, to consider. The Brother MFC-660CN has been designed to ensure that user experience is very positive. It comes with an automatic document feeder with a capacity of 10 pages and a standard paper tray with a capacity of 100 pages. It also has an output tray paper capacity of 50 pages. Overall, this colour inkjet device measures 398 x 370 x 180 mm. It also comes with a colour scanner, with a maximum optical resolution of up to 600 x 2,400 dpi. The colour fax system that comes with this printer is a real boon. It has several excellent features, such as an error correction mode for any last-minute changes, and flexibility features for the modern workplace, such as fax forwarding, remote access and more. The colour printer has a resolution of up to 1,200 x 6,000 dpi and a printing speed of up to 27 pages per minute for monochrome prints, so your output will be crystal-clear and produced quickly and efficiently. There’s aren’t many drawbacks here. However, some users may find that the Brother MFC-665CW is a little too heavy for moving from one location to the next. Weighing 8.4kg, it might not be suitable for situations where you need to move the printer regularly.